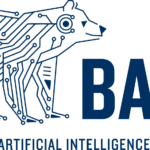 The Berkeley Artificial Intelligence Research (BAIR) Lab brings together UC Berkeley researchers across the areas of computer vision, machine learning, natural language processing, planning, and robotics. BAIR includes over two dozen faculty and more than a hundred graduate students pursuing research on fundamental advances in the above areas as well as cross-cutting themes including multi-modal deep learning, human-compatible AI, and connecting AI with other scientific disciplines and the humanities. The BAIR Blog provides an accessible, general-audience medium for BAIR researchers to communicate research findings, perspectives on the field, and various updates. Posts are written by students, post-docs, and faculty in BAIR, and are intended to provide relevant and timely discussion of research findings and results, both to experts and the general audience. More posts by BAIR blog..